Arresting debut single of chopped 'n screwed neo-blues songwriting, plucked out by the unpredictably eclectic Lebensstrasse Records. 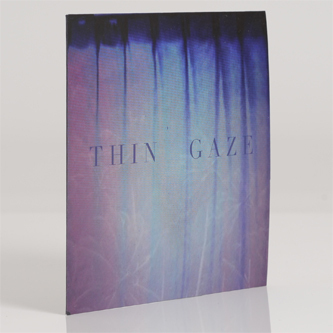 Thin Gaze arrives full formed from Vancouver, Canada, equipped with a whiskey-steeped croon and dealing in a personal brand of let-down songs borrowing the best ideas from hip hop's druggy underworld. From the noirish chamber motifs and sepulchral growls of 'Strayed' to the uncanny, viscous torpor of 'Geisty' and the emaciated 808 patter of his impressive B-side 'Walled City', there's good reason for fans of Tri Angle records, Vindicatrix, or Scott Walker to check this out.